In the name of God. I am Ali Fadaee Fard. I am 14 years old. This device is an emulator of an offset printing machine. In the offset printing machine, there are 4 rollers with four colors and 4 designs. 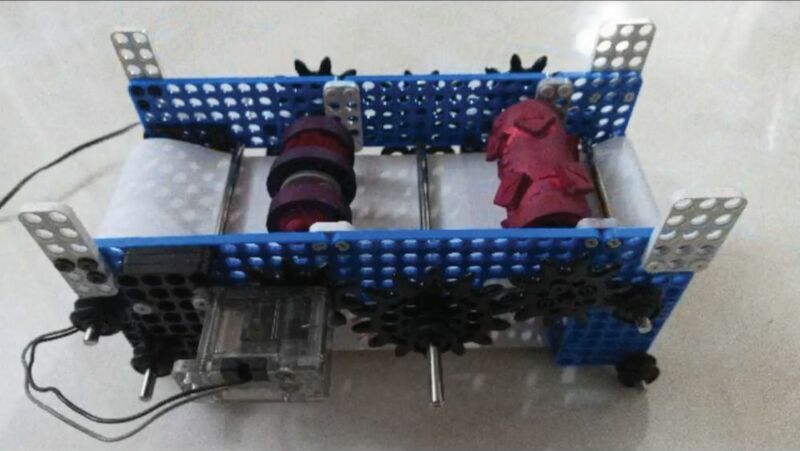 Our device consists of two parts: in the first part, there are 2 rollers with 2 pattern and 2 separate colors. 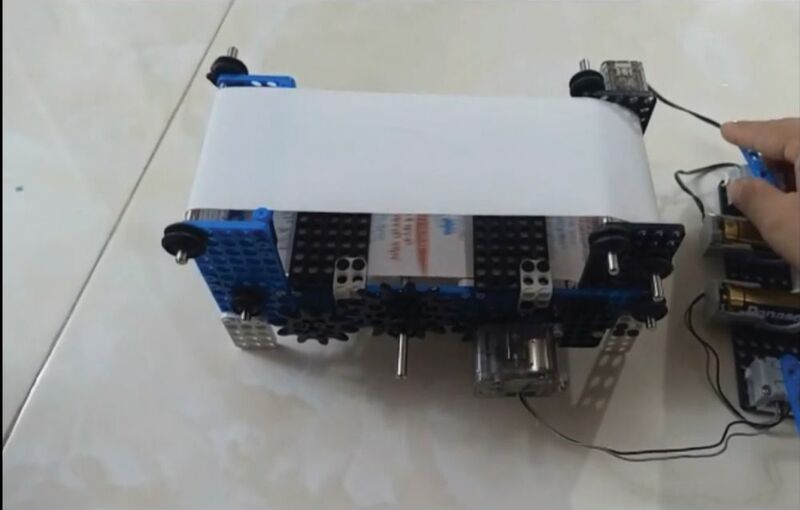 The rollers are rotated by the engine and gears. Take the color from the tank and print the pattern on the paper. The second part consists of 2 moving axes. The papers open from the bottom axis of the machine, and when the image is printed on it, it is pulled up by the motor in upper axis.